Where will Mariota go? This has been the biggest question when it comes to the 2015 NFL Draft. At the moment, it is assumed that Florida State’s Jameis Winston will be drafted with the first overall pick. After that, the picture gets very murky. 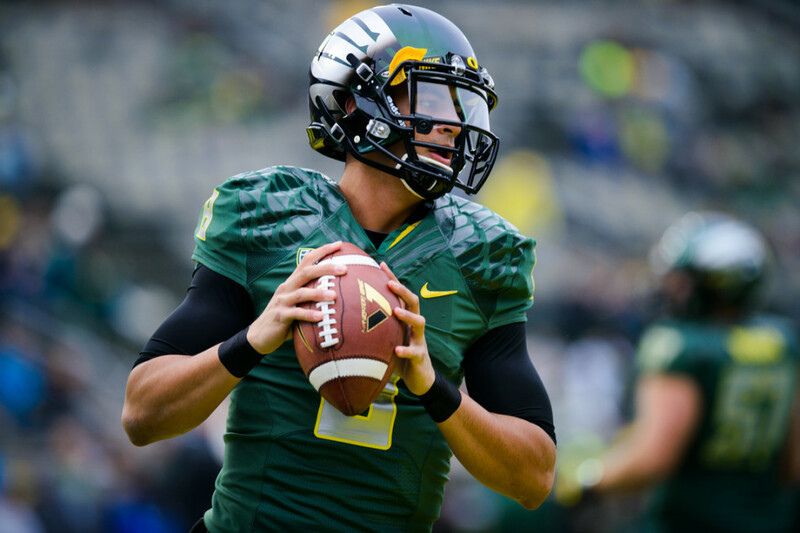 Could the Titans draft Mariota? While the team does have Zach Mettenberger primed to take over the starting role, the Titans may feel that Mariota has more upside and better mobility to make up for Tennessee’s shaky offensive line then Mettenberger. What about the Redskins? The Robert Griffin saga could be reaching its conclusion with Griffin’s option for next season counting for $16 Million against the cap. The organization may decide that the once emerging star and rookie of the year has overstayed his welcome in the nation’s capital. The Jets? Even though the Jets front office has been adamant that it will continue to try to develop Geno Smith, head coach Todd Bowles has said that the Jets will look to address the quarterback position in the draft. New York hasn’t had a franchise signal caller since Joe Namath and could feel that Mariota is their future franchise quarterback. The Cleveland Browns. Scratching your head? Let me explain. Despite the poor play at quarterback last season Cleveland finished with a 7-9 record and had a chance to make the playoffs. Cleveland is desperate for a franchise quarterback and thought that they might have found one in last year’s draft. Unfortunately, Johnny Football is now Johnny Rehab as last year’s first round pick has careened out of control. While Cleveland still has holes at the wide receiver and tight end, the most glaring is quarterback. he is a stop-gap at best at this point in his career. 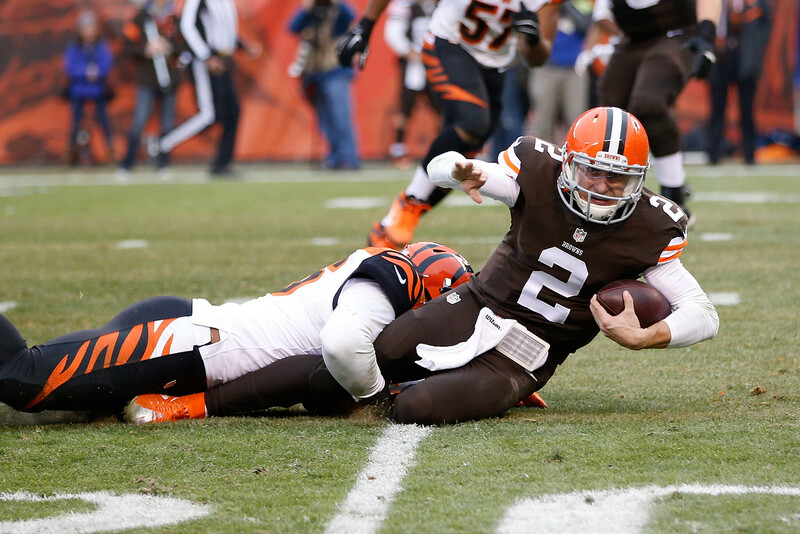 The team has no idea when Manziel will be back and more importantly if he can play in the NFL. Cleveland needs a franchise quarterback to build around and has something no other team has, two first round picks. Cleveland could trade both picks, or move one pick will keeping the other first round pick this year in a package deal to move up and grab Mariota. If they elect to keep a first rounder this year, and presumably give up high future picks, the team could use that pick to give Mariota a play maker. Would Mariota make the Browns a contender over night? Probably not, but Cleveland is in a better spot then people think. Despite their tough division and poor quarterback play last season the team finished with a decent record. Mike Pettine has a solid running game and an underrated defense. Like Rex Ryan, we know that Pettine’s square will have a formidable defense. If Mariota can come in and make plays then the Browns could make a run at a division title as soon as next year. Will this happen? It’s anyone’s guess. While it would make sense for Cleveland to move up, they may feel there are better quarterback options later in the draft or they still, I don’t see how, but still have faith in Johnny Manziel. Either way, don’t be surprised if a franchise that’s been desperate for a franchise quarterback decides to pull the trigger and move up for Mariota. One thing we do know. It’s going to be an interesting draft because Mariota could go anywhere. Previous The Camundrum: Should Talbot Start Over the King? Next Quarterback Roulette: Where Will Top Prospects Land?